This is part of a series of reviews from my time in Indianapolis this past weekend. It has been ages since I’ve been to the Children’s Museum and the last memory I have of it, I stubbornly did not want to leave the puppet show with my family and so purposely missed the elevator, leading my family on a wild goose chase. This time, though no family was with me and we are about 22 years beyond that trip, I had to promise that I would not let myself get lost. The museum hours are typically 10a-5p daily until Labor Day, and the same hours Tues-Sun through Feb 2012. However, we were lucky enough to be in town on the 1st Thursday of the month which means, FREE FAMILY NIGHT! The museum opens for a special 4-8p time with free admission. We got there around 5:30 and the parking garage was packed as were the first few parking lots, and the museum was packed as well, but it was worth it! There are several special exhibits. 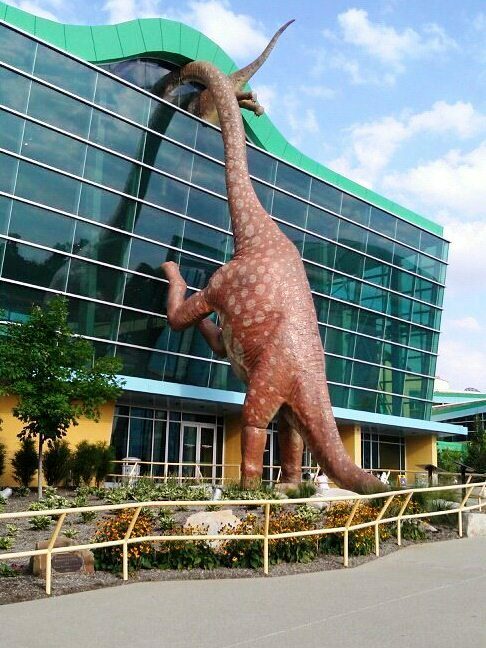 One being DINOSAURS, as evident of the building as you are approaching it. It’s all about digging and exploring and going back into history. As a creationist, however, this exhibit misses the mark when it begins going on about millions and billions of years. That’s a different point that doesn’t need to be discussed here. If you would like more info about it, though, you can check out this site: http://answersingenesis.org/. They also had a cool exhibit called Treasures of the Earth by National Geographic. This one ran the gamut of discovering and restoring terra cotta soldiers in Xi’an, China to recovering treasure and artifacts off a pirate ship in the Caribbean. It took me back to the days I spent watching and playing the game Where in the World is Carmen Sandiego? Oh, I miss that show. Oh and for the girls…I mean, the girlie girls…there’s also an exhibit on Barbie. But seeing as neither me nor my friend were really inclined towards Barbies, we did not go in, so I can’t comment on it. The last special thing I want to mention is the Fireworks of Glass exhibit. This amazing piece of artistry is the focal point of the roundabout ramps which lead people to the various levels of the museum. It’s permanent and deliciously colorful! 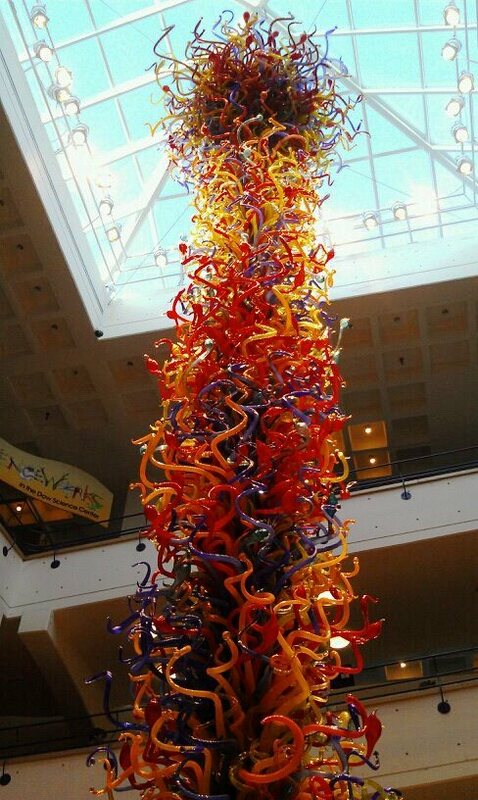 It stands 43 feet tall and includes 3,200 individually blown glass pieces in the tower by artist Dale Chihuly. 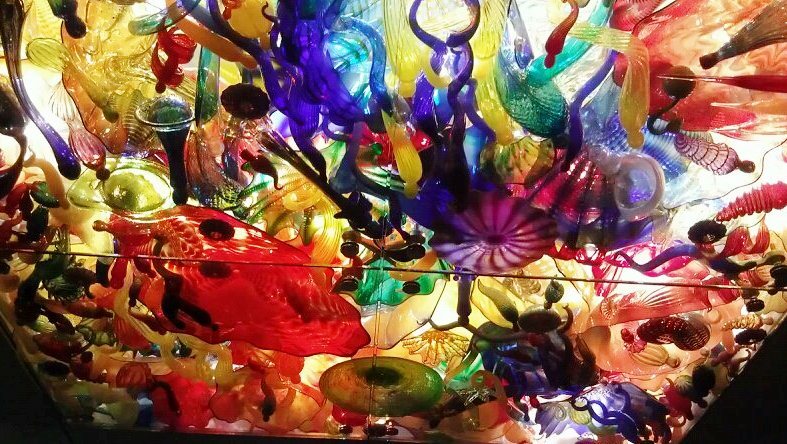 From below the tower, you can also sit on a rotating couch that will allow you to look above at all the colors and various types of glass pieces. There is a chart on the wall of some special kinds to allow you to spend an hour on a scavenger hunt of sorts. Last but not least is one of my favorite parts of the museum. I remember being amazed by it as a little kid and knowing more of what I do about physics and science, I’m even more curious about how it works. 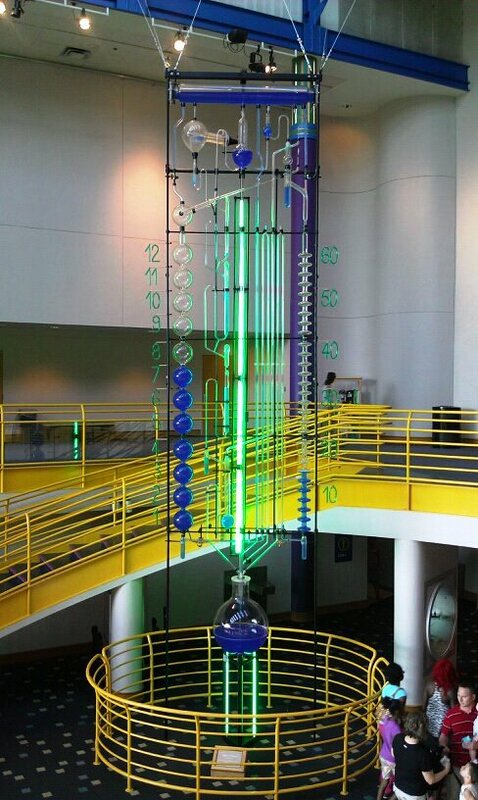 It’s called the Water Clock and it helps keep the museum time going ship-shape. It’s mesmerizing to watch the pendulum swing back and forth, adding water into the pipes, shooting back and forth to keep the seconds, minutes, and hours. 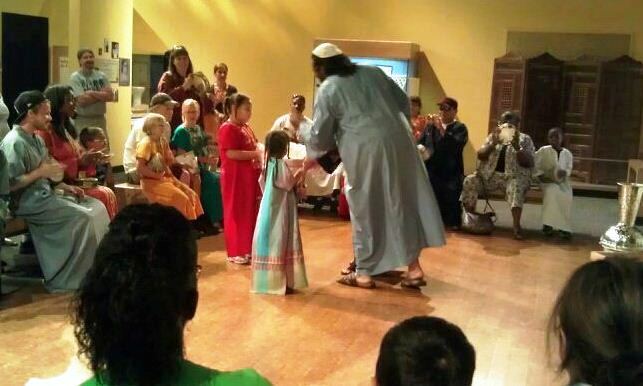 The museum: It’s a great time for the whole family. There were so many parents and kids running all over the place – the organized chaos is something unique that this museum is able to create. The cost: Well, since I got in free, I kind of feel that anything else is too expensive, but alas, here’s the cost list: Ages 2-17: $11.50. Ages 18-59: $16.50. Seniors 60+: $15.50. The food: I didn’t check out the cafe, but looking at the website, it seems that they take care to make food and snacks healthy and tasty. They take cash, Visa, Mastercard and American Express. They are just fine with people bringing their own food to enjoy in the food court area. The help: The people were very helpful. Since we were there on a free evening, there was a lot going on. It’s said that they even give out emergency diapers at the Help Desk. The parking: There is a parking garage right across the street from the museum but also several lots down the street which are dedicated to museum visitors. The accommodations: One big place. I didn’t feel crowded at all. Places to sit down and and such. Returnability: I totally did not see there was a planetarium until we were walking passed it on our way out. I want to go back to see that. It would probably be funner with kids in tow, which I have none, so I was able to be a kid myself (in a lot of ways, more fun). 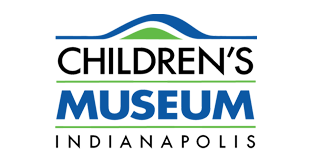 This entry was posted in Indiana, Indianapolis, Indiana, Museums, Review. Bookmark the permalink.